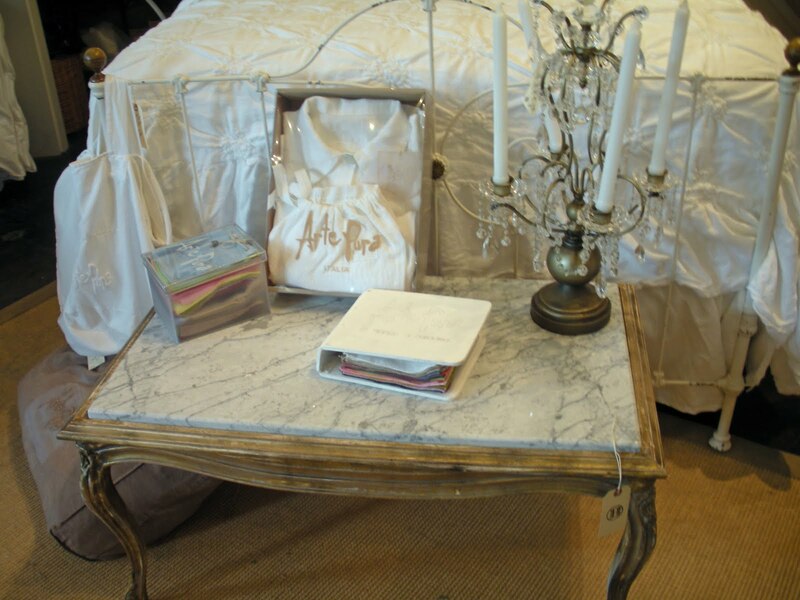 but we especially like to bring back old pieces with good bones. of what they looked like BEFORE. 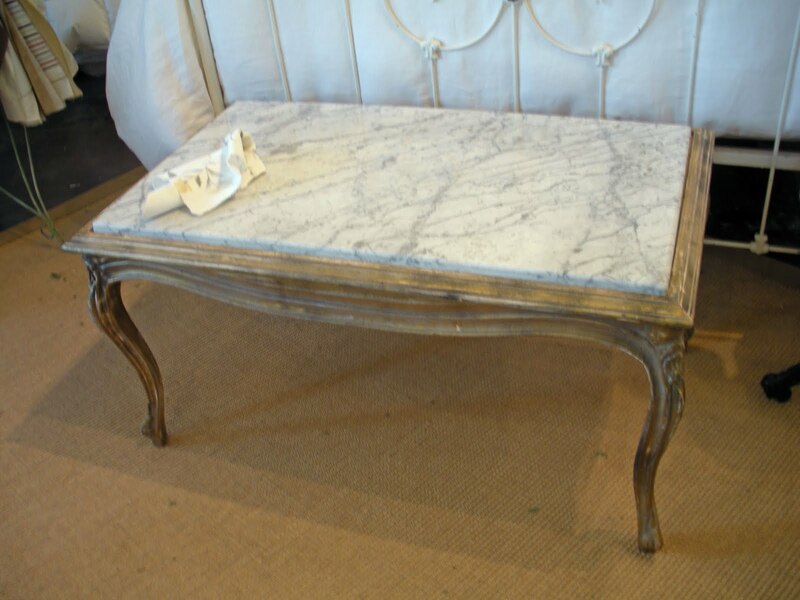 Like this table frame... A little Carrera Marble for the top and Voila! 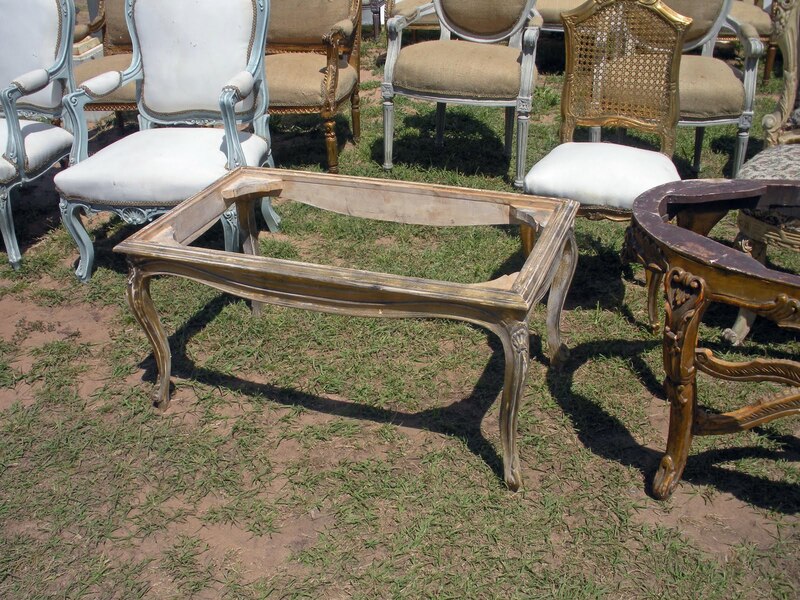 A pretty coffee table or a great piece for the end of a bed. Love how these turned out.... She does too! 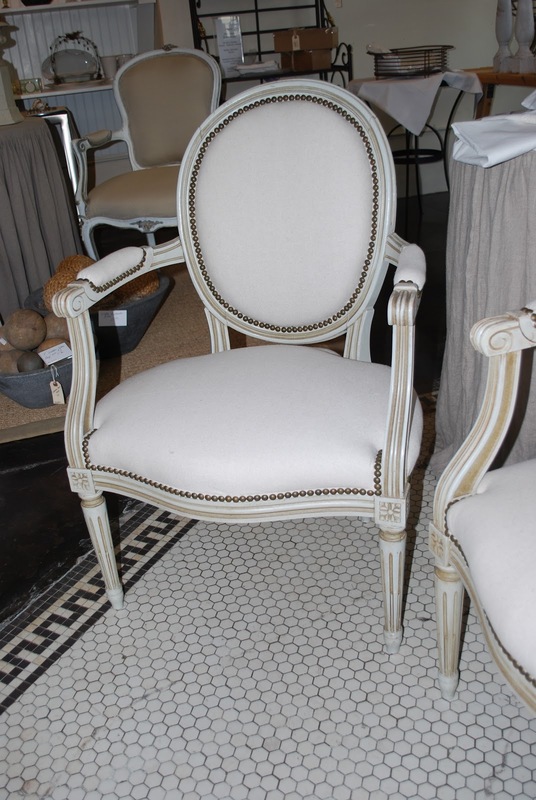 These are two more French chairs I rescued......In another client's house. These were very hard to give up. But they have a great home! 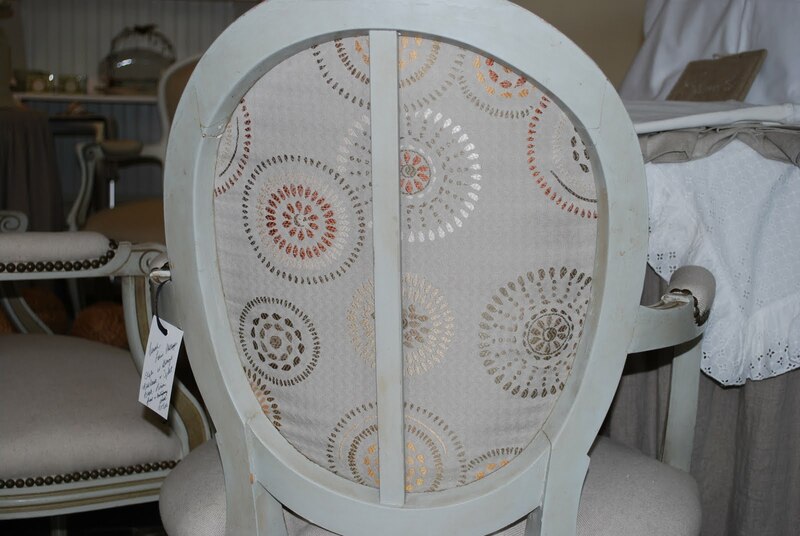 This is a before, a 19th century French Side Chair.....Silk fabric.. YECH! Carolyn Quatermaine again..... This time in pink linen. I love this. 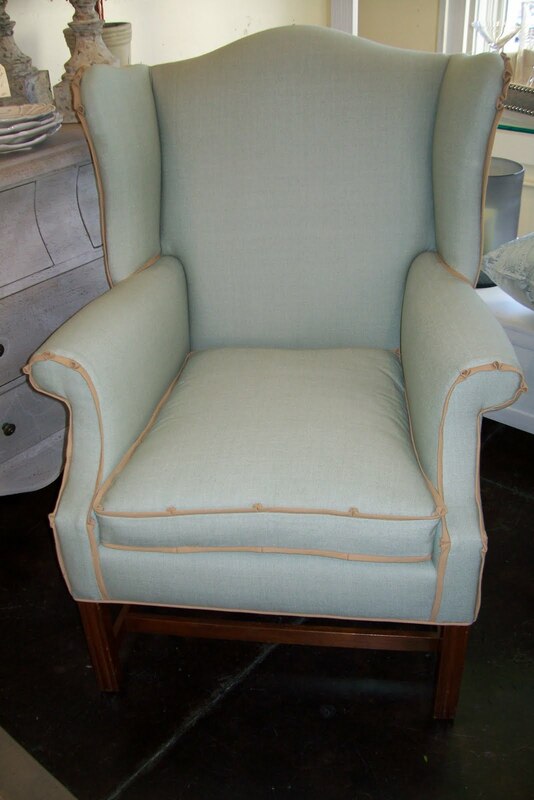 A classic wing chair we reupholstered for a client. Hola Maryanne, we have plenty of room inside the house... so don´t need to camp out, jajaja!!! 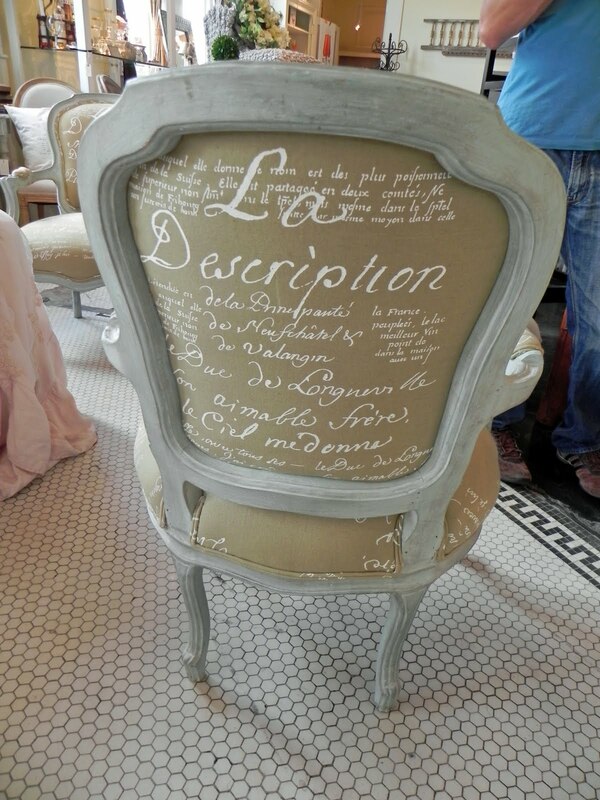 It´s just exquisite to see everything you do in the furnitures and also what you have in your shop, ah! 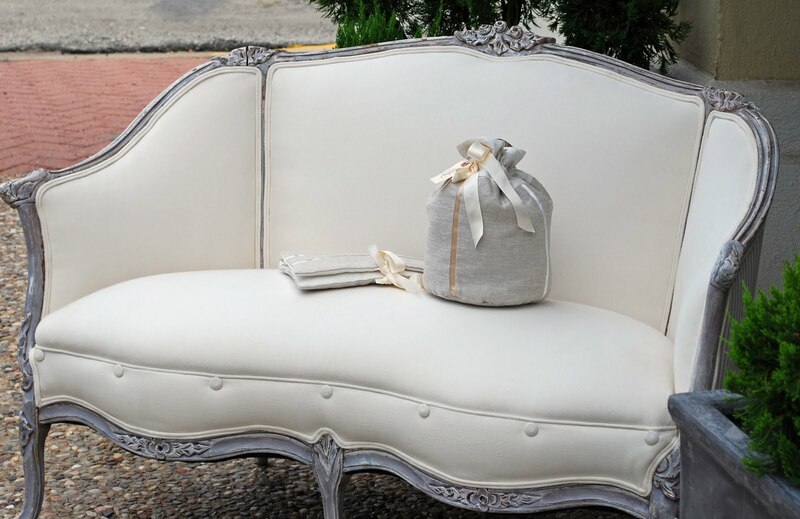 arte pura is an adorable luxury!! Love your re-dos! I am dying to get down and check out your store...beautiful! fun to look at the before and after pictures! 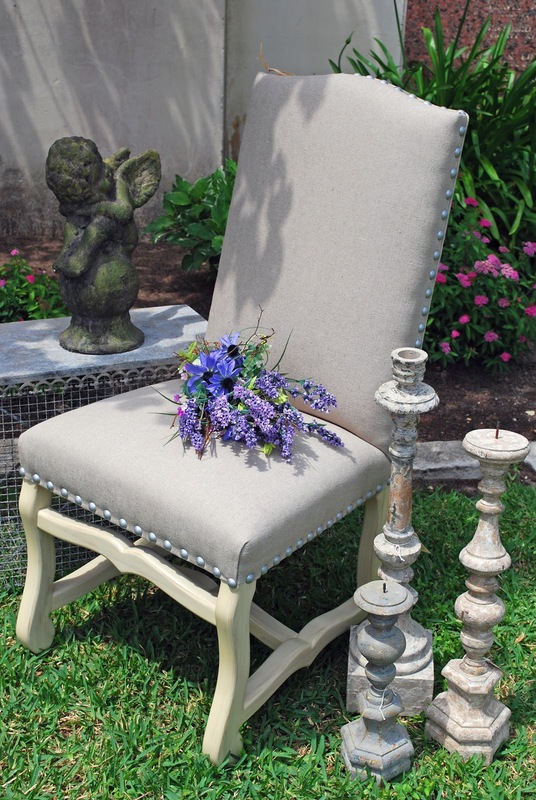 I loved looking at your before and afters of your gorgeous range of furniture. All fabulous and it must be so hard to part with these lovely pieces. 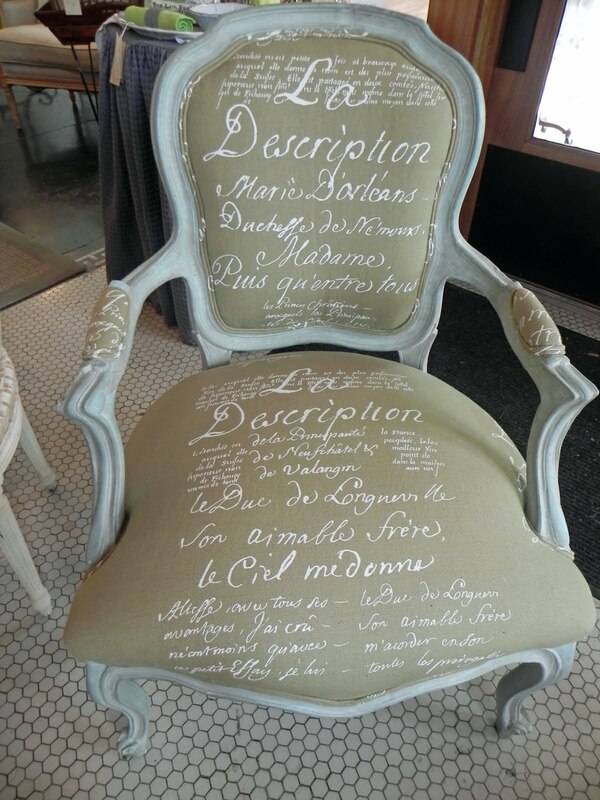 I adore the Carolyn Quartermaines French script and the Arete Pura slipcovers. Thanks for showing us. 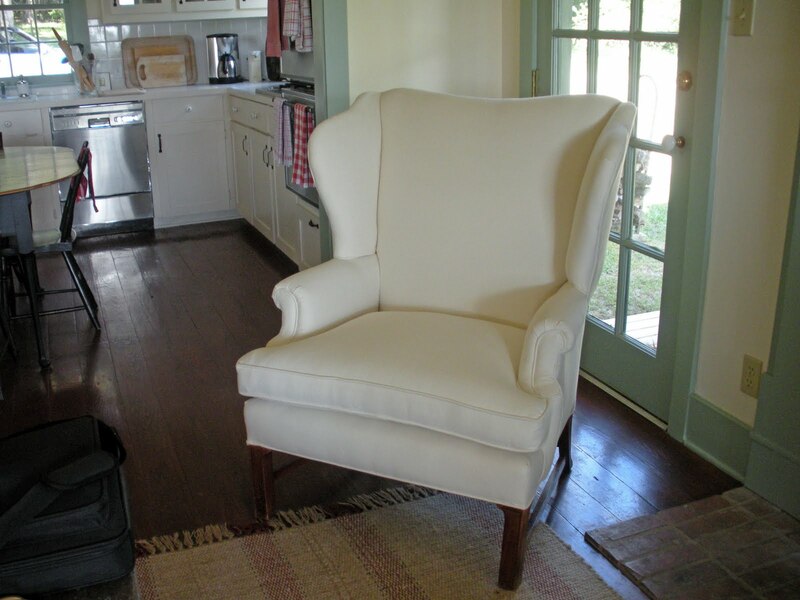 Maryanne, you have a great eye and can picture the "After" I have always loved the settee at your entry! 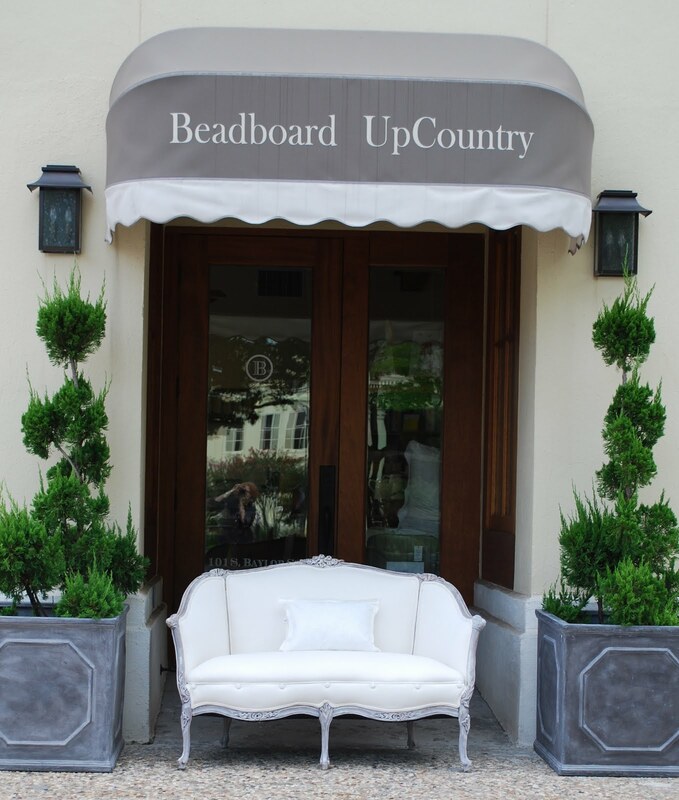 I am dying to get down and check out your store...beautiful! What a fab store you have and wonderful work! Met a friend of yours last week! Miss Mona! i am lovin' all of it. OMG. 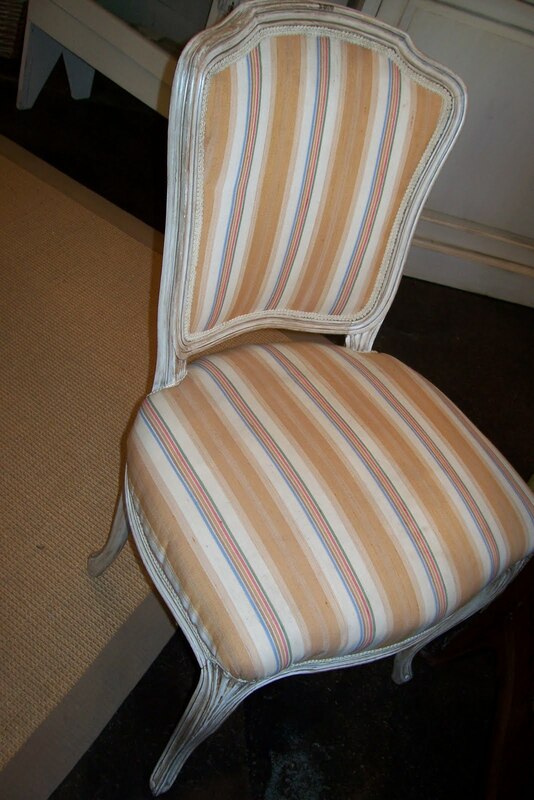 The settee is my all-time favorite but those chairs covered with Carolyn Quatermaine fabric are a close second. Just perfect restoration in each project. Thanks for the look see. Love it all. You guys do a fabulous job! 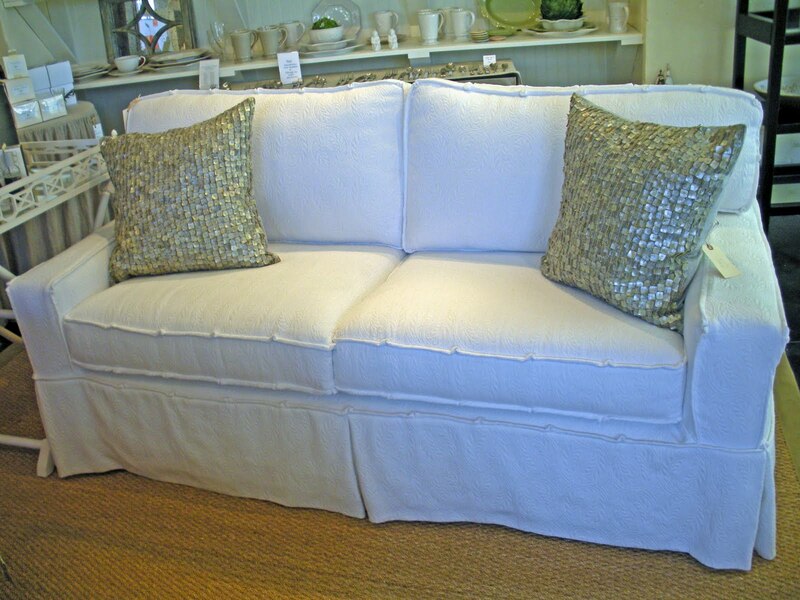 The settee is perfect, and I love the chairs! We Have an Arte Pura Muse!